For other uses, see Silla (disambiguation). Silla (57 BC[note 1] – 935 AD) (Hangul: 신라; Hanja: 新羅; RR: Silla Korean pronunciation: [ɕil.la]) was a kingdom located in southern and central parts of the Korean Peninsula. Silla, along with Baekje and Goguryeo, formed the Three Kingdoms of Korea. Until its founding as a full-fledged kingdom, Silla was recorded using several hanja, Chinese character, combinations to phonetically approximate its native Korean name. Among those used, there include 斯盧 (사로, Saro), 斯羅 (사라, Sara), 徐那(伐) (서나[벌], Seona[beol]), 徐耶(伐) (서야[벌], Seoya[beol]), 徐羅(伐) (서라[벌], Seora[beol]), and 徐伐 (서벌, Seobeol). In 504, Jijeung of Silla standardized the characters into 新羅(신라), which in Modern Korean is pronounced "Shilla". One etymological hypothesis suggests that the name Seorabeol might have been the origin of the word Seoul, meaning "capital city", and also the name of the present capital of South Korea, which was previously known as Hansung (漢城) or Hanyang (漢陽). The name of the Silla capital may have changed into its Late Middle Korean form Syeobeul (셔블), meaning "royal capital city," which might have changed to Syeoul (셔울) soon after, and finally resulted in Seoul (서울) in the Modern Korean language. The name of either Silla or its capital Seorabeol was widely used throughout Northeast Asia as the ethnonym for the people of Silla, appearing as Shiragi in Japanese and as Solgo or Solho in the language of the medieval Jurchens and their later descendants, the Manchus, respectively. 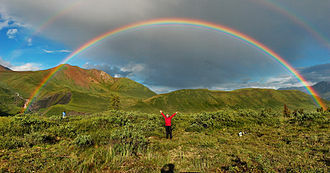 In the modern Mongolian language, Korea and Koreans are still known as Солонгос (Solongos), which seems to be an alteration of Silla influenced by the Mongolian word for "rainbow" (солонго solongo). Silla was also referred to as Gyerim (鷄林, 계림), literally "chicken forest," a name that has its origins in the forest near the Silla capital. Legend has it that the state's founder was born in the same forest, hatched from the egg of a cockatrice (Kor. gyeryong, 雞龍, 계룡, literally "chicken-dragon"). During the Proto–Three Kingdoms period, central and southern Korea consisted of three confederacies called the Samhan. Silla began as Saro-guk, a statelet within the 12-member confederacy known as Jinhan. 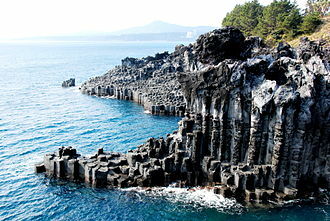 Saro-guk consisted of six villages and six clans. According to Korean records, Silla was founded by Bak Hyeokgeose of Silla in 57 BC, around present-day Gyeongju. Hyeokgeose is said to have been hatched from an egg laid from a white horse, and when he turned 13, six clans submitted to him as king and established Saro-guk (also called Seona)[who?]. He is also the progenitor of the Bak (박) clan, now one of the most common family names in Korea. In various inscriptions on ancient monuments of Munmu of Silla, it is recorded that King Silla came from Xiongnu. Some Korean researchers point out that the grave goods of Silla and Xiongnu are alike, and some researchers insist that the Silla king is descended from Xiongnu. The Korean public broadcaster KBS has produced a documentary about this subject. By the 2nd century, Silla existed as a distinct state in the southeastern area of the Korean peninsula. It expanded its influence over neighboring Jinhan chiefdoms, but through the 3rd century was probably no more than the strongest city-state in a loose federation. To the west, Baekje had centralized into a kingdom by about 250, overtaking the Mahan confederacy. To the southwest, Byeonhan was being replaced by the Gaya confederacy. In northern Korea, Goguryeo, a kingdom by about 50 AD, destroyed the last Chinese commandery in 313 and had grown into a threatening regional power. Naemul of Silla (356–402) of the Gim clan established a hereditary monarchy, eliminating the rotating power-sharing scheme, and took the royal title of Maripgan (麻立干). In many popular explanations of this title, it is analyzed into two elements, with the first element alleged to be from the Korean root mari or meori meaning "head" or "hair," from 網笠 mangrip > mangnip "a traditional-style hat made of horsehair," from 毛笠 morip "a kind of hat worn by servants in the old days," from mirip ~ mireup "a knack, a trick, the hang of something," from Korean *madi > maji "the firstborn, the eldest (child of a family); an elder, a senior, a person whose age is greater than someone else's age," from Korean mat-jip "the house in which the head of a household lives, the main house on an estate," from a word related to Middle Korean marh meaning "stake, post, pile, picket, peg, pin (of a tent)" (cf. Modern Korean malttuk "id.," māl "sawhorse"), from mŏrŏ > maru "ridge, peak, crest (of a roof, a mountain, a wave, etc. ); the outseam (of trousers or pants); zenith, climax, prime; the first, the standard," from maru ~ mallu "floor," etc. The second element, gan, is generally believed to be related to the Middle Korean word han meaning "great, grand, many, much," which was previously used for ruling princes in southern Korea, and may have some relationship with the Mongol/Turkic title Khan. In 377, Silla sent emissaries to China and established relations with Goguryeo. Facing pressure from Baekje in the west and Japan in the south, in the later part of the 4th century, Silla allied with Goguryeo. However, when Goguryeo began to expand its territory southward, moving its capital to Pyongyang in 427, Nulji of Silla was forced to ally with Baekje. By the time of Beopheung of Silla (514–540), Silla was a full-fledged kingdom, with Buddhism as state religion, and its own Korean era name. Silla absorbed the Gaya confederacy during the Gaya–Silla Wars, annexing Geumgwan Gaya in 532 and conquering Daegaya in 562, thereby expanding its borders to the Nakdong River basin. Jinheung of Silla (540–576) established a strong military force. Silla helped Baekje drive Goguryeo out of the Han River (Seoul) area, and then wrested control of the entire strategic region from Baekje in 553, breaching the 120-year Baekje-Silla alliance. Also, King Jinheung established the Hwarang. 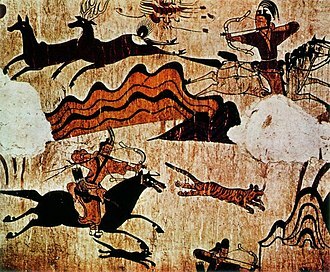 The early period ended with the death of Jindeok of Silla and the demise of the "hallowed bone" (seonggol) rank system. 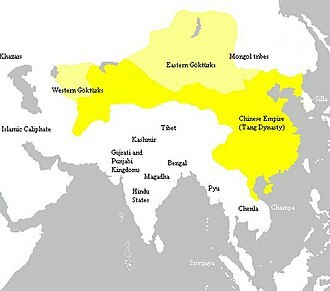 In the 7th century Silla allied itself with the Chinese Tang dynasty. In 660, under Muyeol of Silla (654-661), Silla subjugated Baekje. In 668, under King Munmu of Silla (King Muyeol's successor) and General Gim Yu-sin, Silla conquered Goguryeo to its north. 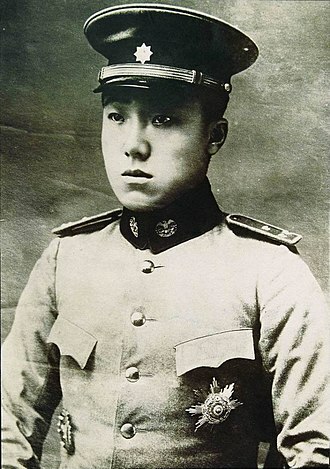 Silla then fought for nearly a decade to expel Chinese forces on the peninsula intent on creating Tang colonies there to finally establish a unified kingdom as far north as modern Pyongyang. The northern region of the defunct Goguryeo state later reemerged as Balhae. Silla's middle period is characterized by the rising power of the monarchy at the expense of the jingol nobility. This was made possible by the new wealth and prestige garnered as a result of Silla's unification of the peninsula, as well as the monarchy's successful suppression of several armed aristocratic revolts following early upon unification, which afforded the king the opportunity of purging the most powerful families and rivals to central authority. 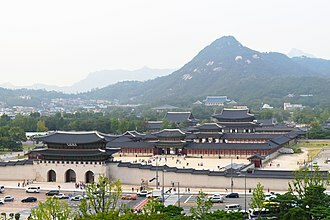 Further, for a brief period of about a century from the late 7th to late 8th centuries the monarchy made an attempt to divest aristocratic officialdom of their landed base by instituting a system of salary payments, or office land (jikjeon, 직전, 職田), in lieu of the former system whereby aristocratic officials were given grants of land to exploit as salary (the so–called tax villages, or nogeup, 녹읍, 祿邑). By the late 8th century, however, these royal initiatives had failed to check the power of the entrenched aristocracy. The mid to late 8th century saw renewed revolts led by branches of the Gim clan which effectively limited royal authority. Most prominent of these was a revolt led by Gim Daegong that persisted for three years. 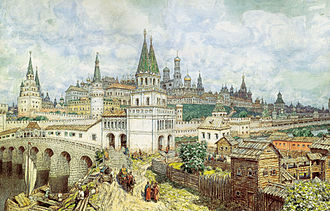 One key evidence of the erosion of kingly authority was the rescinding of the office land system and the re-institution of the former tax village system as salary land for aristocratic officialdom in 757. The middle period of Silla came to an end with the assassination of Hyegong of Silla in 780, terminating the kingly line of succession of Muyeol of Silla, the architect of Silla's unification of the peninsula. Hyegong's demise was a bloody one, the culmination of an extended civil war involving most of the kingdom's high–ranking noble families. 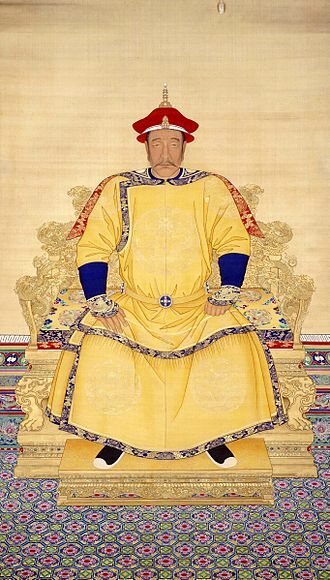 With Hyegong's death, during the remaining years of Silla, the king was reduced to little more than a figurehead as powerful aristocratic families became increasingly independent of central control. 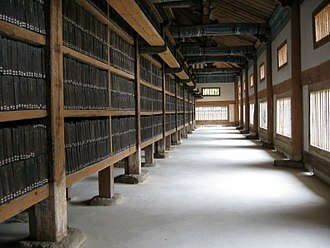 Thereafter the Silla kingship was fixed in the house of Wonseong of Silla (785–798), though the office itself was continually contested among various branches of the Gim lineage. Nevertheless, the middle period of Silla witnessed the state at its zenith, the brief consolidation of royal power, and the attempt to institute a Chinese style bureaucratic system. The final century and a half of the Silla state was one of nearly constant upheaval and civil war as the king was reduced to little more than a figurehead and powerful aristocratic families rose to actual dominance outside the capital and royal court. 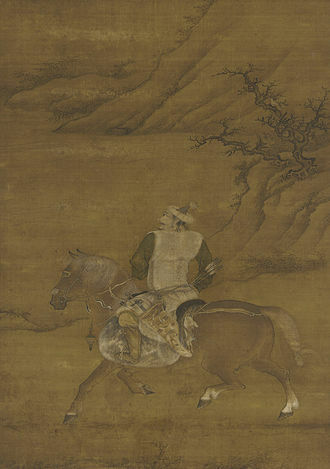 The tail end of this period, called the Later Three Kingdoms period, briefly saw the emergence of the kingdoms of Later Baekje and Later Goguryeo, which were really composed of military forces capitalizing on their respective region's historical background, and Silla's submission to the Goryeo dynasty. From at least the 6th century, when Silla acquired a detailed system of law and governance, social status and official advancement were dictated by the bone rank system. This rigid lineage-based system also dictated clothing, house size and the permitted range of marriage. Since its emergence as a centralized polity Silla society had been characterized by its strict aristocratic makeup. Silla had two royal classes: "sacred bone" (seonggol, 성골, 聖骨) and "true bone" (jingol, 진골, 眞骨). Up until the reign of King Muyeol this aristocracy had been divided into "sacred bone" and "true bone" aristocrats, with the former differentiated by their eligibility to attain the kingship. This duality had ended when Queen Jindeok, the last ruler from the "sacred bone" class, died in 654. The numbers of "sacred bone" aristocrats had been decreasing for generations, as the title was only conferred to those whose parents were both "sacred bones", whereas children of a "sacred" and a "true bone" parent were considered as "true bones". 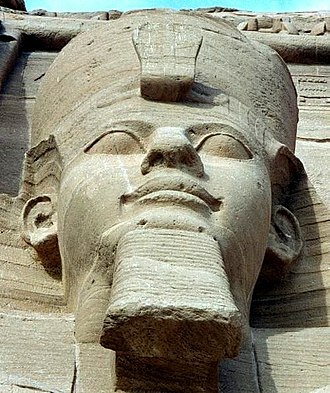 There were also many ways for a "sacred bone" to be demoted to a "true bone", thus making the entire system even more likely to collapse eventually. The king (or queen) theoretically was an absolute monarch, but royal powers were somewhat constrained by a strong aristocracy. The "Hwabaek" (화백-和白) served as royal council with decision-making authorities on some vital issues like succession to the throne or declarations of war. The Hwabaek was headed by a person (Sangdaedeung) chosen from the "sacred bone" rank. One of the key decisions of this royal council was the adoption of Buddhism as state religion. Following unification Silla began to rely more upon Chinese models of bureaucracy to administer its greatly expanded territory. This was a marked change from pre-unification days when the Silla monarchy stressed Buddhism, and the Silla monarch's role as a "Buddha-king". Another salient factor in post-unification politics were the increasing tensions between the Korean monarchy and aristocracy. Other items uncovered during the excavation[which?] include a silver bowl engraved with an image of the Persian goddess Anahita; a golden dagger from Persia; clay busts; and figurines portraying Middle Eastern merchants. Samguk Sagi—the official chronicle of the Three Kingdoms era, compiled in 1145—contains further descriptions of commercial items sold by Middle Eastern merchants and widely used in Silla society. The influence of Iranian peoples culture was profoundly felt in other ways as well, most notably in the fields of music, visual arts, and literature. The popularity of Iranian designs in Korea can be seen in the widespread use of pearl-studded roundels and symmetrical, zoomorphic patterns. An ancient Persian epic poem, the Kushnameh, contains detailed descriptions of Silla. The early Silla military was built around a small number of Silla royal guards designed to protect royalty and nobility and in times of war served as the primary military force if needed. Due to the frequency of conflicts between Baekje and Goguryeo as well as Yamato Japan, Silla created six local garrisons one for each district. 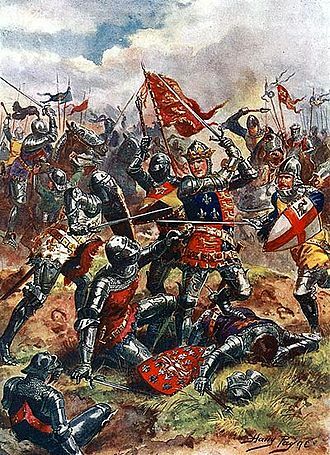 The royal guards eventually morphed into "sworn banner" or Sodang units. In 625 another group of Sodang was created. Garrison soldiers were responsible for local defense and also served as a police force. A number of Silla's greatest generals and military leaders were Hwarang (equivalent to the Western knights or chevaliers). Originally a social group, due to the continuous military rivalry between the Three Kingdoms of Korea, they eventually transformed from a group of elite male aristocratic youth into soldiers and military leaders. Hwarang were key in the fall of Goguryeo (which resulted in the unification of the Korean Peninsula under Unified Silla) and the Silla–Tang Wars, which expelled Tang forces in the other two Korean kingdoms. A significant number of Silla tombs can still be found in Gyeongju, the capital of Silla. Silla tombs consist of a stone chamber surrounded by a soil mound. The historic area around Gyeongju was added to the UNESCO World Heritage list in 2000. 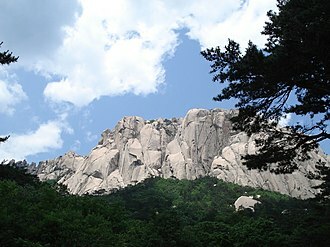 Much of it is also protected as part of Gyeongju National Park. Additionally, two villages near Gyeongju named Hahoe and Yangdong Folk Village were submitted for UNESCO heritages in 2008 or later by related cities and the South Korean government. Since the tombs were harder to break into than those of Baekje, a larger number of objects has been preserved. Notable amongst these are Silla's elaborate gold crowns and jewelry. The massive Bronze Bell of King Seongdeok the Great of Silla is known to produce a distinctive sound. Cheomseongdae near Gyeongju is the oldest extant astronomical observatory in East Asia but some disagree on its exact functions. It was built during the reign of Queen Seondeok (632–647). Muslim traders brought the name "Silla" to the world outside the traditional East Asian sphere through the Silk Road. Geographers of the Arab and Persian world, including ibn Khurdadhbih, al-Masudi, Dimashiki, Al-Nuwayri, and al-Maqrizi, left records about Silla. The current descendants to the Silla dynasty fall under the Gim name. 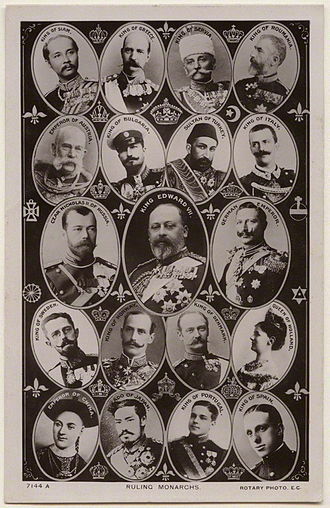 Family records since the last ruler have been provided, but these records have yet to be fully verified. Buddhism was introduced to Silla in 528. Silla had been exposed to the religion for over a century during which the faith had certainly made inroads into the native populace. 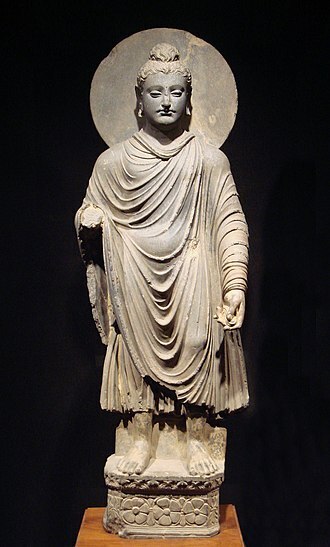 The Buddhist monk Ado introduced Silla to Buddhism when he arrived to proselytize in the mid 5th century. However, according to legend, the Silla monarchy was convinced to adopt the faith by the martyrdom of the Silla court noble Ichadon, who was executed for his Buddhist faith by the Silla king in 527 only to have his blood flow the color of milk. 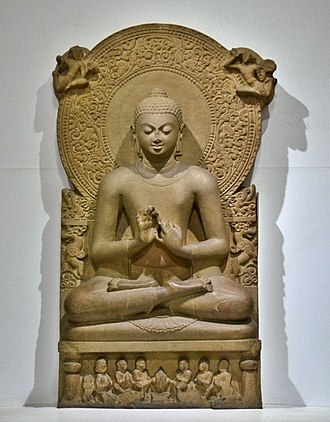 The importance of Buddhism in Silla society of the late early period is difficult to exaggerate. From King Beopheung and for the following six reigns Silla kings adopted Buddhist names and came to portray themselves as Buddhist–kings. Korea's and Iran's long-running relationship started with cultural exchanges date back to the Three Kingdoms of Korea era, more than 1600 years ago by the way of the Silk Road. A dark blue glass was found in the Cheonmachong Tomb, one of Silla's royal tombs unearthed in Gyeongju. An exotic golden sword was found in Gyerim-ro, a street also located in Gyeongju. These are all relics that are presumed to be sent to Silla from ancient Iran or Persia through the Silk Road. It was only during the Goryeo Dynasty during King HyeonJong's reign when trade with Persia was officially recorded in Korean history. But in academic circles, it is presumed that both countries had active cultural exchanges during the 7th century Silla era which means the relationship between Korea and Iran began more than 1500 years ago. "In a history book written by the Persian scholar Khurdadbid, it states that Silla is located at the eastern end of China and reads 'In this beautiful country Silla, there is much gold, majestetic cities and hardworking people. Their culture is comparable with Persia'. "The Kushnameh, that tells of a Persian prince who went to Silla in the seventh century and got married with a Korean princess, thus forming a royal marriage.” Park Geun-hye said during a Festival celebrating Iran and Korea's 1500's years of shared cultural ties. The Bell of King Seongdeok was cast in 771 AD. ^ 57 BC according to the Samguk Sagi; however Seth 2010 notes that "these dates are dutifully given in many textbooks and published materials in Korea today, but their basis is in myth; only Goguryeo may be traced back to a time period that is anywhere near its legendary founding." ^ a b 박용운 (1996). 고려시대 개경연구 147~156쪽. ^ "...the ﬁrst united Korean nation-state was established by the Silla Dynasty" The Two Koreas and the Great Powers, p. 48. Cambridge University Press. Silla is a descendant of the Jinhan confederacy. Its land is in the southeast of Goguryeo and it is an old land, (once held by) the Lelang Commandery of Han dynasty. It is called Jinhan or Qinhan. According to Xiangyun (相伝), its founders were fugitives who arrived to avoid hardship during the Qin dynasty. Mahan gave their eastern land to them and settled those Qin people there. Therefore, this is called Qinhan. Their language and name are similar to Chinese. The location of Jinhan is east of Mahan. Traditionally, they are fugitives who came to Korea of old, to avoid hardships of the Qin dynasty. And Mahan said they gave them their eastern land. The location of Jinhan is east of Mahan. They are fugitives who came to Korea to avoid the hardship of the Qin dynasty. Mahan said they gave their eastern land to them. They set up castle fences and their language is similar to the one in Qin dynasty. It is also called Qinhan. ^ Horesh, N. (2014). Asian Thought on China's Changing International Relations. Palgrave Macmillan. p. 175. ISBN 978-1137299321. "According to the Samguksagi entry for the 38th year of King Bak Hyeogeose of Silla, it is claimed that refugees from Qin settled in Jinhan, that is south-eastern Korea." Jinhan confederacy is located in the east of Mahan confederacy. In the traditions of that area, the people of Jinhan were ancient fugitives who came to Korea to avoid the hardships of the Qin dynasty, and Mahan gave them their eastern land. They set up a castle fence and the language they speak is not the same as Mahan’s. There, they call “Guo” (Hanja: 国) (country) “Bang” (Hanja: 邦); “Gong” (Hanja: 弓) (arrow) “Hu” (Hanja: 弧); “Zei” (Hanja: 賊) (thief) “Kou” (Hanja: 寇); and “Xingjiu” (Hanja: 行酒) “Xingshang” (Hanja: 行觴). The people of Jinhan are ancient fugitives who came to Korea to avoid the hardships of the Qin dynasty. Mahan said they gave their eastern land to them. In Jinhan, country is called “Bang (邦)”, arrow is called “Hu (弧)”, thief is called “Kou (寇)”, ”Xingjiu (行酒)” called as “Xingshang (行觴)” (turning cups of alcoholic drink) and they call each other “Tu (徒)”. Their language is similar to the language of Qin. So, this place is also called Qinhan. The location of Jinhan is east of Mahan. They are fugitives who came to Korea to avoid the hardships of the Qin dynasty. Mahan said they gave their eastern land to them. They set up castle fences and their language is similar to the one in Qin dynasty. It is also called Qinhan. ^ 김대성. <이색보고> 金家 뿌리 탐사, 흉노왕의 후손 김일제 유적을 찾아서. 신동아. Retrieved 2016-09-25. ^ Cho Gab-je. 騎馬흉노국가 新羅 연구　趙甲濟(月刊朝鮮 편집장)의 심층취재　내 몸속을 흐르는 흉노의 피. Monthly Chosun. Retrieved 2016-09-25. ^ 김운회 (2005-08-30). 김운회의 '대쥬신을 찾아서' <23> 금관의 나라, 신라. 프레시안. Retrieved 2016-09-25. ^ 경주 사천왕사(寺) 사천왕상(四天王像) 왜 4개가 아니라 3개일까. 조선일보. 2009-02-27. Archived from the original on 2014-12-30. Retrieved 2016-09-25. ^ 2부작 <문무왕릉비의 비밀> - 제1편: 신라 김씨왕족은 흉노(匈奴)의 후손인가?. KBS 역사추적. 2008-11-22. Retrieved 2016-09-25. ^ 2부작 <문무왕비문의 비밀> - 제2편: 왜 흉노(匈奴)의 후예라고 밝혔나?. KBS 역사추적. 2008-11-29. Retrieved 2016-09-25. ^ (채널돋보기) 신라 김씨 왕족은 흉노의 후손일까. 매일신문. 2008-11-21. Retrieved 2016-09-25. ^ "성골 [聖骨]". Empas Encyclopedia. Retrieved 2006-08-29. ^ "1,500 Years of Contact between Korea and the Middle East". Middle East Institute. Retrieved 2017-04-13. ^ Park, Jin Y. article "Buddhism in Korea" in Keown and Prebish 2010 : 449. ^ Birmingham Museum of Art (2010). Birmingham Museum of Art : guide to the collection. [Birmingham, Ala]: Birmingham Museum of Art. p. 34. ISBN 978-1-904832-77-5. ^ a b "Cultural ties put Iran, S Korea closer than ever for cooperation". Tehran Times. 2016-05-05. Retrieved 2017-04-13. Wikimedia Commons has media related to Silla Kingdom. The Samhan period of Korean history comprises confederacies of Mahan and Byeonhan in central and southern Korean peninsula, during the final century BCE and the early centuries CE. These confederacies were eventually absorbed into two of the Three Kingdoms of Korea by the 4th century CE, the Samhan period is generally considered a subdivision of the Three Kingdoms Period. Sam is a Sino-Korean word meaning three, and Han is a Korean word meaning great, large, many. Han was transliterated into Chinese characters 韓, 幹, or 刊, but is unrelated with the Han in Han Chinese, ma means south, Byeon means shining and Jin means east. The names of these confederacies are reflected in the current name of South Korea, the Samhan are thought to have formed around the time of the fall of Gojoseon in northern Korea in 108 BC, around when the state of Jin in southern Korea disappears from written records. By the 4th century, Mahan was fully absorbed into the Baekje kingdom, Jinhan into the Silla kingdom, and Byeonhan into the Gaya confederacy, main articles, Byeonhan confederacy, Jinhan confederacy, Mahan confederacy The Samhan are generally considered loose confederations of walled-town states. Each appears to have had an elite, whose power was a mix of politics. Although each state appears to have had its own ruler, there is no evidence of systematic succession, the name of the poorly understood Jin state continued to be used in the name of the Jinhan confederacy and in the name Byeonjin, an alternate term for Byeonhan. In addition, for some time the leader of Mahan continued to call himself the King of Jin, Mahan was the largest and earliest developed of the three confederacies. It consisted of 54 minor statelets, one of which conquered or absorbed the others, Mahan is usually considered to have been located in the southwest of the Korean peninsula, covering Jeolla and portions of Gyeonggi. Jinhan consisted of 12 statelets, one of which conquered or absorbed the others and it is usually considered to have been located to the east of the Nakdong River valley. Byeonhan consisted of 12 statelets, which gave rise to the Gaya confederacy. 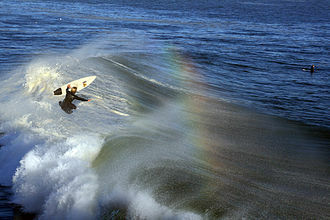 It is usually considered to have located in the south. Later Silla was a prosperous and wealthy country, and its metropolitan capital of Gyeongju was the fourth largest city in the world. During its heyday, the country contested with Balhae, a Goguryeo–Mohe kingdom, despite its political instability, Later Sillas culture and arts flourished. Through close ties maintained with Tang Dynasty and Confucianism became principal philosophical ideologies of the elite as well as the mainstays of the periods architecture and fine arts. Its last king, ruled over the state in name only and submitted to the emerging Goryeo in 935, although traditionally considered the first unified Korean state, modern Korean historians argue that Goryeo was in fact the first truly unified state of the Korean nation. Modern Korean historians began to criticize the traditional view of Unified Silla as the unification of Korea, in 660, King Munmu of Silla ordered his armies to attack Baekje. General Kim Yu-shin, aided by Tang forces, defeated General Gyebaek, in 661, he moved on Goguryeo but was repelled. King Munmu was the first ruler ever to look upon the south of the Korean Peninsula as a political entity after the fall of Gojoseon. As such, the post-668 Silla kingdom is often referred to as Unified Silla, Unified Silla lasted for 267 years until, under King Gyeongsun, it fell to Goryeo in 935. Later Silla was an age of art and culture, as evidenced by the Hwangnyongsa, Seokguram. Unified Silla and the Tang maintained close ties and this was evidenced by the continual importation of Chinese culture. Many Korean monks went to China to learn about Buddhism, the monk Hyecho went to India to study Buddhism and wrote an account of his travels. 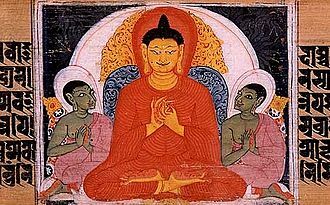 Different new sects of Buddhism were introduced by these traveling monks who had studied such as Son. Unified Silla conducted a census of all size and population, as well as horses and special products. The reporting was done by the leader of each town, a national Confucian college was established in 682 and around 750 it was renamed the National Confucian University. Korean Confucianism is the form of Confucianism that emerged and developed in Korea. One of the most substantial influences in Korean intellectual history was the introduction of Confucian thought as part of the influence from China. Confucianism in Korea is sometimes considered a way of holding a nation together without the civil wars and internal dissent that were inherited from the Goryeo dynasty. Confucius is generally thought to have born in 551 BCE. The Latinized name Confucius by which most Westerners recognize him is derived from Kong Fuzi, Confucius was born into the class of shi, between the aristocracy and the common people. His public life included marriage at the age of 19 that produced a son, in his private life he studied and reflected on righteousness, proper conduct and the nature of government such that by the age of 50 he had established a reputation. This regard, however was insufficient for his success in advocating for a central government. He is said to have spent his last years teaching an ardent group of followers of the values to be appreciated in a collection of ancient writings loosely identified as the Five Classics, Confucius is thought to have died in 479 BCE. Under the succeeding Han Dynasty and Tang Dynasty, Confucian ideas gained even more widespread prominence, during the Song Dynasty, the scholar Zhu Xi added ideas from Taoism and Buddhism into Confucianism. In his life, Zhu Xi was largely ignored, but not long after his death his ideas became the new view of what Confucian texts actually meant. Modern historians view Zhu Xi as having created something rather different, Neo-Confucianism held sway in China, Japan and Vietnam until the 19th century. The nature of early Korean political and cultural organization centered on the clan, a Chinese record of the Gojoseon Kingdom labeled the inhabitants of the peninsula as DONG-I or eastern barbarians or eastern bowmen. Though the Shang Dynasty is recognized chiefly for its accomplishments, its organizational accomplishments included the invocation of authority through ones ancestors. When the Shang Dynasty was overtaken by the Western Zhou, the Zhou modified the Shang belief in ancestors belief to invoke the Mandate of Heaven as a way of identifying the right to rule. The concept of the Three Kingdoms of Korea refers to the three kingdoms of Baekje and Goguryeo, which was known as Goryeo, from which the name Korea is derived. The Three Kingdoms period was defined as being from 57 BC to 668 AD, the three kingdoms occupied parts of Manchuria, in present-day China and Russia, and the Korean Peninsula. 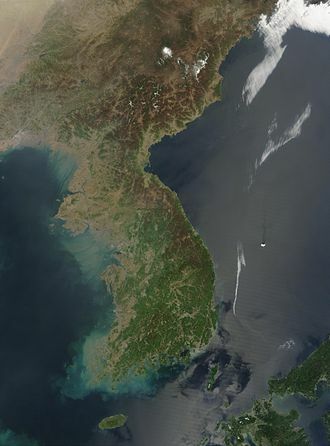 Baekje and Silla only dominated the southern part of the peninsula whereas Goguryeo controlled the Liaodong Peninsula and the northern half of the Korean Peninsula. In the 7th century, allied with China under the Tang dynasty, Silla unified the Korean Peninsula for the first time in Korean history, after the fall of Baekje and Goguryeo, the Tang dynasty established a short-lived military government to administer parts of the Korean peninsula. However, as a result of the Silla–Tang Wars, Silla forces expelled the Protectorate armies from the peninsula in 676, Dae Joyeong, a former Goguryeo general, founded Balhae in the former territory of Goguryeo after defeating the Tang dynasty at the Battle of Tianmenling. The predecessor period, before the development of the kingdoms, is sometimes called Proto–Three Kingdoms period. Main primary sources for this period include Samguk Sagi and Samguk Yusa in Korea, the name Three Kingdoms was used in the titles of the Korean histories Samguk Sagi and Samguk Yusa, and should not be confused with the Chinese Three Kingdoms. The Three Kingdoms was founded after the fall of Gojoseon, after the fall of Gojoseon, the Han dynasty established four commanderies in present Liaoning. Three fell quickly to the Samhan, and the last was destroyed by Goguryeo in 313, the three polities made the transition from walled-town state to full-fledged state-level societies between 1st – 3rd century AD. All three kingdoms shared a culture and language. Their original religions appear to have been shamanistic, but they were influenced by Chinese culture. In the 4th century, Buddhism was introduced to the peninsula, Goguryeo emerged on the north and south banks of the Yalu River, in the wake of Gojoseons fall. Korean shamanism, known as Muism or Sinism Singyo religion of the shin, is the ethnic religion of Korea and the Koreans. Although used synonymously, the two terms are not identical, Jung Young Lee describes Muism as a form of Sinism - the shamanic tradition within the religion, other names for the religion are Shindo, Shindoism and Pungwoldo. It has approximately 5-15 million followers, in contemporary Korean language, the shaman-priest or mu is known as a mudang if female or baksu if male, although other names are used. Korean mu shaman is synonymous with Chinese wu, which defines priests both male and female. The role of the mudang is to act as intermediary between the spirits or gods, and the plain, through gut, seeking to resolve problems in the patterns of development of human life. 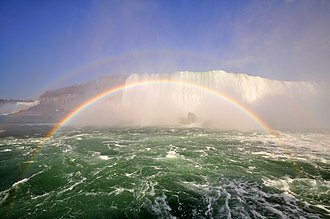 Central to the faith is the belief in Haneullim or Hwanin, meaning source of all being, and of all gods of nature, the utmost god or the supreme mind. The mu are mythically described as descendants of the Heavenly King, son of the Holy Mother, other myths link the heritage of the traditional faith to Dangun, male son of the Heavenly King and initiator of the Korean nation. Korean Muism has similarities with Chinese Wuism, Japanese Shinto, Ainu religion, in some provinces of Korea the shaman is still called dangul dangul-ari. The mudang is similar to the Japanese miko and the Ryukyuan yuta, Muism has exerted an influence on some Korean new religions, such as Cheondoism and Jeung San Do. According to various studies, many Christian churches in Korea make use of practices rooted in shamanism. The Korean word mu is thought to come from the root as the Chinese wu. The Korean language and culture, has developed its own terminology, already in Yi dynasty records, mudang apparently derives from Chinese, and originally meant the altar of mu and not the person itself. The Korean word Mu means Heaven of Mago land, the priest for Mu is Muin of Shaman. Man in Shaman is the meaning of the muin of Suri, mudang is used mostly for female shamans, though not exclusively. 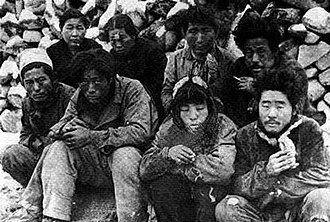 Male Korean mu are called by a variety of names, such as sana mudang in the Seoul area, or baksu mudang, baksu may come from a Korean adaptation of siberian names for male shamans, such as baksi, balsi or bahsih. Chilbulam (rock-engraving of seven Buddhas) on Namsan, Gyoengju. Gyeongju City Hall in Dongcheon-dong. A gold crown excavated from Gold Crown Tomb. National Treasures of South Korea No. 87. A mudang performing a gut in Seoul, South Korea. Gardens of the Samseonggung, a shrine for the worship of Hwanin, Hwanung, and Dangun. Altar of a Sansingak, "Mountain God shrine". Mountain God shrines are often controlled by Buddhist temples. This one belongs to the Jeongsusa (Jeongsu Temple) of Ganghwa Island. Chugyedaeje, a Confucian ritual ceremony in autumn in Jeju, South Korea. Former Presidents of South Korea Park Chung-Hee (1963–1979) and his daughter, Park Geun-hye (2013–2017) (pictured) are from the Goryeong clan of the Parks. A cockatrice overdoor at Belvedere Castle (1869) in New York's Central Park.